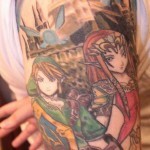 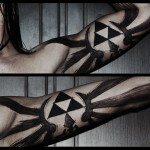 I’ve posted some pretty spectacular Legend of Zelda tattoos in the past (like the Legend of Zelda arm tattoo) but I think this one has taken over the spot as my favorite. 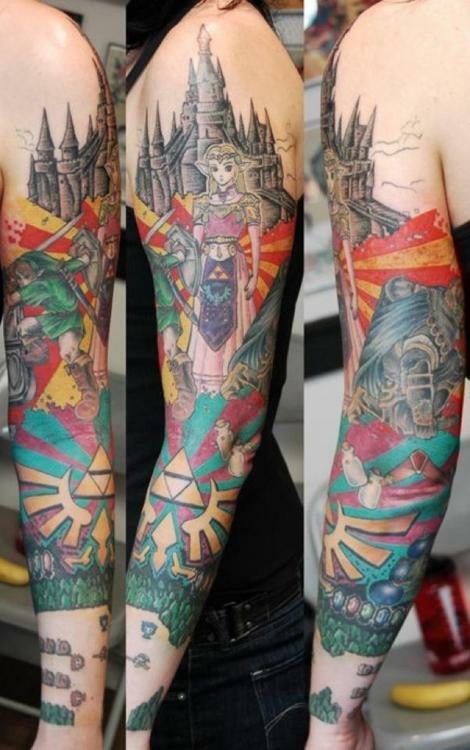 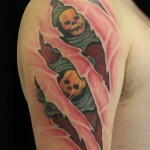 This tattoo is insanely colorful and anybody that is willing to tattoo a scene from the Legend of Zelda NES game on their arm gets a major thumbs up from me! 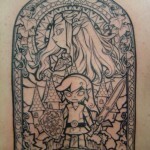 I can’t even begin to imagine the amount of time, money and pain that went into getting this amazing Legend of Zelda tattoo but I’d say it was worth every bit of it. 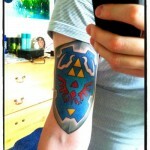 Now, I have the urge to play some Legend of Zelda on my 3DS but sadly I left my 3DS at home on the charger this morning.